A total of 518, 034 out of 763, 602 pupils who sat for their Standard Seven examinations this year have passed, the National Examination Council of Tanzania (NECTA) says Saturday. 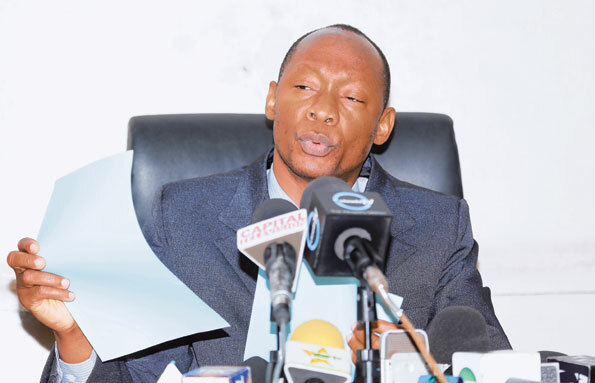 Announcing results in Dar es Salaam, Necta executive secretary Dr Charles Msonde says performance was 67.84 per cent, 10.85 per cent more as compared to 56.99 per cent registered in 2014. According to him, the results show that performance was up in all subjects at a percentage rate ranging from 4.61 to 17.22 as compared to last year. Best performance was registered in the Kiswahili subject (77.20 per cent) while the least performance was in English subject (48.56 per cent). According to Dr Msonde, 264, 130 girl candidates passed, being the equivalent of 64.60 per cent of 408, 900 girls registered for the exams. At the same time, 253, 904 boy candidates equivalent to 71.58 per cent of 354, 706 all registered boy candidates passed. He says the best 10 candidates come from Hazina Primary School of Dar es Salaam, Mwanza’s Mugini Primary School and Mara’s Twibhoki Primary School. Best performing girls come from Mugini, Twibhoki and Little Flower primary schools. Results show Geita’s Waja Springs Primary School stands top of table with good performance in 2015 followed by Enyamai of Mara with Twibhoki Primary School coming third. Other best performing schools with their positions are; Mugini of Mwanza (4), Rocken Hill of Shinyanga (5), Karume of Kagera (6), Alliance of Mwanza (7), Little Flower of Mara (8), Palikas of Shinyanga (9) and St Caroli of Mwanza (10). According to Necta, schools with the poorest performance are: Mwashigini of Shinyanga, Simiyu’s Mabambasi, Mwangu of Lindi, Mohedagew of Arusha and Coast’s Kwale Primary School. Others are Njoro (Arusha), Gomhungile (Dodoma), Makole (Tanga), Kitengu and Koloni (Morogoro). Reports from Necta show regions with best performance are: Katavi, Dar es Salaam, Mwanza, Kilimanjaro, Arusha, Geita, Kagera, Tanga, Njombe and Iringa.